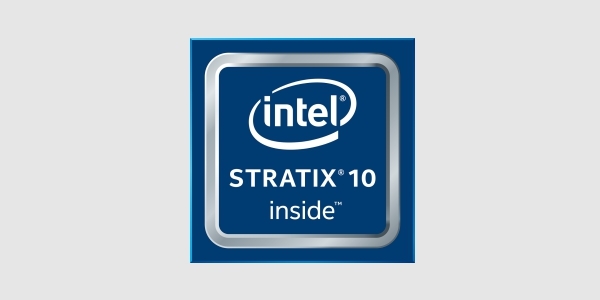 Intel Stratix 10 Featuring Intel Hyperflex FPGA Architecture :: Zerif Technologies Ltd.
Intel® Stratix® 10 FPGAs and SoCs deliver breakthrough advantages in performance, power efficiency, density, and system integration. Featuring the revolutionary Intel® Hyperflex™ FPGA Architecture and built on the Intel 14 nm Tri-Gate process, Intel® Stratix® 10 devices deliver 2X core performance gains over previous-generation, high-performance FPGAs with up to 70% lower power. The BittWare 520 is a PCIe accelerator board build using the Intel Stratix 10 FPGA with four 100G QSFP Ethernet ports and a PCIe Gen3 x16 host interface. With fast, independent optical I/O, establish dense, directly coupled FPGA clusters. The BittWare 520N-MX accelerator board built with an Intel Stratix 10 MX FPGA is well suited to 100G line rate network packet processing and compute-intensive data center applications that demand high memory bandwidths.